Technology is rapidly changing the world, and innovations are being developed that will redefine how we live. Here at Evolving Science we have examined how electric cars will be charged on the go, and looked at how a smart homes are almost a reality in our article ‘Control Your Home, Control Your World’. While these technologies will be a reality in the near future, one technology that is changing the way we live today is Virtual Reality (VR). The VR industry continues to integrate itself deeper into futuristic tech. Forbes reports that VR’s projects are so big that the market could easily top $120 billion (€97 billion) by 2020. There are many ways that VR is changing the world. In this article we look at 3 industries that are currently being revolutionized by VR in a big way. The most popular use for VR is in gaming. It is in this industry that the technology has been constantly developed and pushed forward. Wearing a VR headset, players are able to fully immerse themselves in digital worlds. Every year more games are being released with VR capabilities. Tech Advisor has a list of the most anticipated VR games for 2018, demonstrating how far the technology can be used. From action to puzzle games, VR is revolutionizing the industry. VR will also change how players interact and play physical games. In 2016, Casino VR was launched, and in 2017 the platform held its first poker tournament with real prizes. VR headsets allow players to inhabit digital casinos and play as if they were at a physical table. 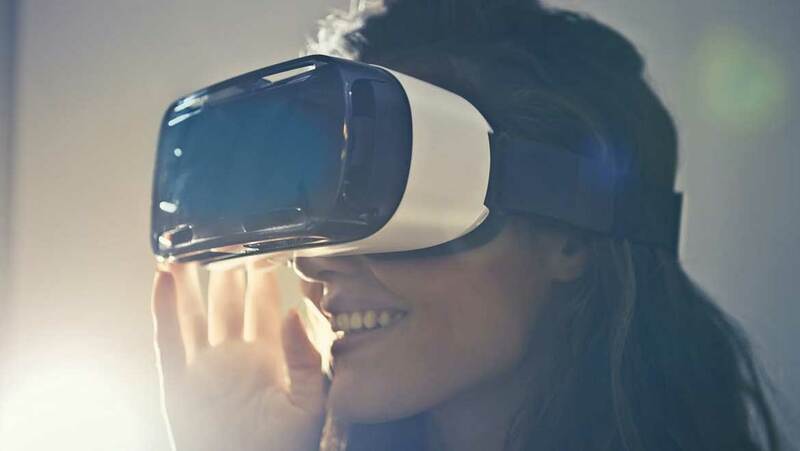 PartyPoker reveals that VR headsets adapt the view-screen to the players head movements, all while being securely strapped to the user’s head. In the near future, it is likely that global competitions will be held online, and players worldwide will be able to compete without having to travel from the comfort of their own homes. VR is making waves in the sports industry as it makes viewing more enjoyable, and cheaper than paying for live match tickets. Today, some companies are bringing spectators closer to the court, field, or ring through the use of VR technology. Produced by a company called m ss ng p eces (yes, that is their name), Strength in Numbers lets people watch their favourite sports through VR. For football fans, Strength in Numbers has developed technology that is being used by Europe’s biggest teams to offer a completely new viewing experience. Juventus VR allows fans to experience football from the point of view of their favorite heroes. The VR gives fans access to the stadium’s pitch, inside the dressing rooms, and behind the scenes at the Juventus Centre. Juventus Co-Chief Revenue Officer Federico Palomba stated: “Previously you would have had to be physically in the stadium of at the training field for an experience like this, but not every single fan is able to be here in person. Thanks to VR, Juventus and other clubs are able to eliminate these geographical boundaries, multiply access, and bring fans into contact with their favorite sport stars”. The sports industry has been at the forefront of integrating technology into the fan experience. Going forward it is likely that more sports companies will start to integrate VR to provide a stronger connection to fans. VR is now helping surgeons with complicated operations through cyber training. The Royal College of Surgeons in Ireland (RCSI) is one of the purveyors of this technology, using a software system that simulates the emergency room management of a road accident patient. The "RCSI VR Medical Training Sim" is a software trains medical personnel to make quick decisions in real time, and perform life-saving clinical procedures like a real surgeon would in an emergency room. RCSI's software was developed in partnership with Immersive Education VR. In 2018, the healthcare industry will continue to embrace VR and use it to train future surgeons, and help with the care of patients. There’s no doubt that VR will improve over the years and continue revolutionize many different industries.